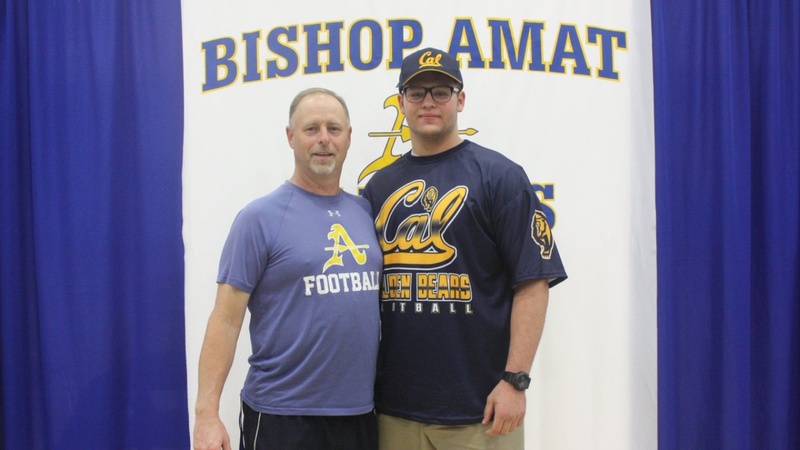 After the departure of previously-committed nose tackle Atonio Mafi to UCLA, the commitment and subsequent signing of 6-3/295 Bishop Amat (La Puente, California) defensive tackle Aaron Maldonado was great news for Cal fans on signing day. The 3 star Maldonado put up 11.5 sacks and 77 tackles on the season for Bishop Amat -big numbers for an interior lineman. "I'm really glad to be a part of what they're building at Cal," said Maldonado. At 295, if the Bears need Maldonado to add a bit of weight to play nose, he's more than confident that adding 15-20 lbs of good weight would happen quickly in the Bears' strength and conditioning program. 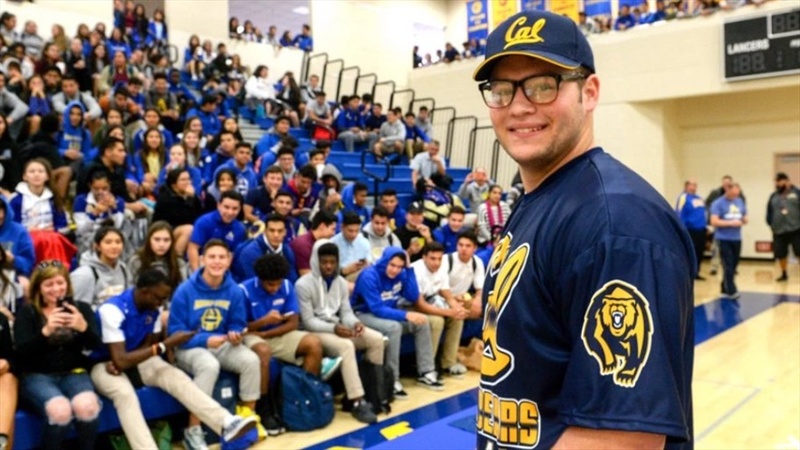 The Bears pursued Maldonado strongly early in the recruiting season but an early commitment to UCLA kept the Bears at a distance as they continued to track the talented NT through the season. "Cal was good about honoring my decision to UCLA but once they found out I decommitted, they got back in touch right away, " said Maldonado. "Coach Wilcox actually recruited me a few years ago when he was at USC when I camped there, so I've known him for a while and I knew he was interested. When he moved to Cal, his interest in me followed to Cal. "I talked to all the coaches when I committed and really felt a high level of interest from all of them. "It's a plus having a head coach that's a defensive mind. Coach Wilcox sees me as a nose in their 3-4. And Coach Tuioti is awesome. I can't wait to work with him." Maldonado earned Mission League Defensive Player of the Year in back-to-back seasons and has a rep as a tenacious, sideline-to-sideline player. "Every time I run down the field and make a down-the-field tackle, it's a plus in my book," said Maldonado. "It makes me feel good. And if a big guy like me can make plays down field, it shows the other guys that there's no reason they can't do it, too." Maldonado had a 365 bench, 455 squat and 295 power clean last summer, where he also participated in Nike's prestigious The Opening. The new Bear NT also prides himself on his work ethic -always working to perfect his technique and knowledge of the game. "I'd say my technique is one of the things I take the most pride in," said Maldonado. "Every time I work out, I make sure my hand placement is correct and my steps are right. I spend a lot of time breaking down game film of my opponent, too, so I watch it every night to analyze their strengths and weaknesses and prepare my game." Head coach Justin Wilcox is happy with what the Bears are getting in Maldonado. "He is a very tough player," said Wilcox. "He plays extremely hard. He moves well for a big guy. "We think he's going to fit in really well at our nose position in base defense, and then at the tackle position in our nickel defense. But when you watch his tape, you see him chasing people down all over the place. He plays with such great effort. He's got good technique for a high school player at that position. And he's got toughness. "We're really excited to add him, and he'll fit in really well here." Wow, sounds like a great young man and a very talented player. Love the idea of him at NT. Forget about Mafi, Maldanado is our man! Welcome to Cal, Aaron. Go Bears! I have a really good feeling about what this man will accomplish at Cal. I think his story is going to be awesome, and he seems like a really good person as well. He also fits the mold of Cal recruits during the Wilcox era with high marks for character and intelligence. He'll do well at Cal academically and on the football field. This is a very nice article. Well done. Without going too far off topic, what type of player was Mafi vs. Maldanado? Is this simply a matter of one guy being so big that he's projected to be more of an immovable object whereas the other is a more versatile technique/motor guy (I don't mean that in a negative way)? Very accurate. Mafi does move well for a huge man. I think he will come back fine from his injury. Both Aaron Maldonado & Cal are fortunate! Aaron is exactly the right combination for Cal: Smart, high character, great skills. I am taking Mafi's last minute defection personally; I really hope Maldonado becomes a beast at the center of our DLine for years to come! You know this guy is going to end up with a Cal degree: It's those glasses! 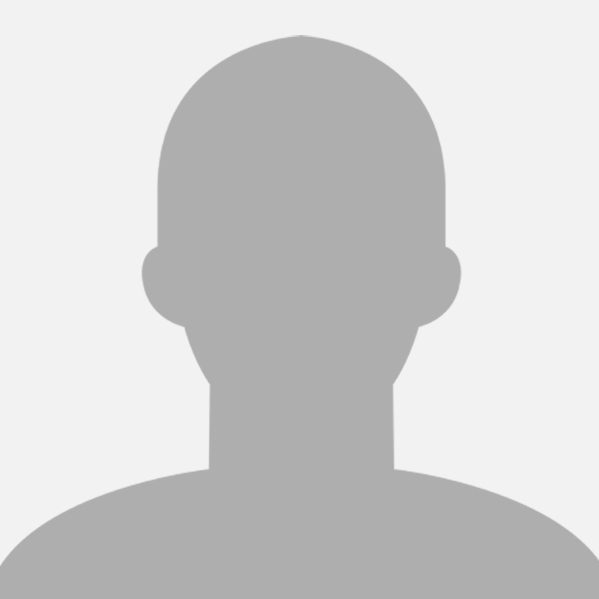 Uh oh ... Is this going to become another Richard Lee thread stalking for the next several years??? Well, let's put it this way: Maldonado moves very well and with some guided weight work will stop up the middle just as well as Mafi was projected to do. A ruptured Achilles, on the other hand, is an iffy proposition. If the tendon was detached completely, it's a year, no matter what some trainer says. And, might never be the same - the stress put on it by that much weight and strength could jeopardize a recurrence.